I was giving a lesson the other day to a first time student and in the process of watching him warm-up, the commentary began at a fever pitch. He would top one or hit it thin…..”Oh, I lifted my head.” He would hit a slice to the right……”Oh, I need to tuck my right arm on my backswing.” Over the years I have learned not to respond right away to these outlandish ideas or misconceptions. It is easy to jump right in and tell the student,”You are wrong or give them the correct answer contradicting everything that they thought they should be doing in their golf swing, but that for one doesn’t make the student feel very good about being with me and too it is just not the time. Golfers typically start golf without much knowledge and direction (with the exception of their buddies or husbands). Let’s face it, there are far more teachers out there than players, which leads us to our problem, MISCONCEPTIONITIS…….defined as – human beings ingesting false information from other humans that have done the same thing. Golf has to be the leading sport of bad information that is passed down through the years…….starting in the late 1800’s. I am a firm believer that it was definitely a teaching pro that coined the phrase “KEEP YOUR HEAD DOWN”, There isn’t another 4 words that have made me more money over the years, that is for sure. Thank you Henry Cotton. So here is my list of common misconceptions that we need to address in the upcoming Guru TV Shows that may be holding you back . 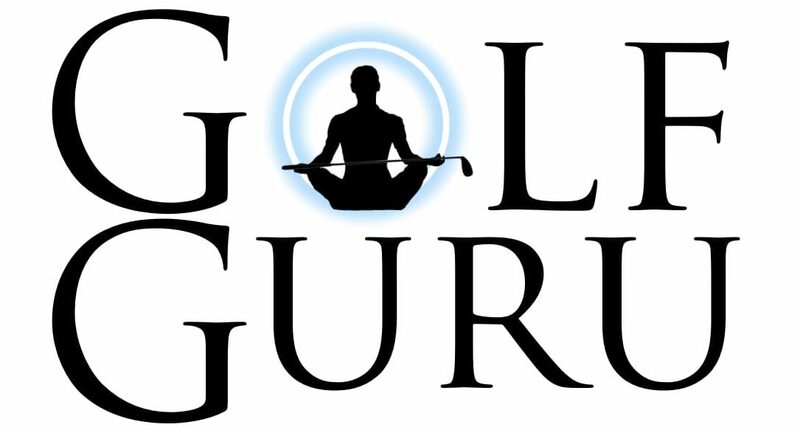 If any of these are your swing thoughts, please call 1-800-GURU…….Quickly. So here we go……..
1. Keep your head down – The head must be allowed to move somewhat during the swing. A steady head might be more appropriate. The amateur eyes might see the head raise up but remember it is attached to the body. Maintain a consistent spine angle and let your head follow your ball flight to create freedom in your follow through. Otherwise you will be looking at the ground and still killing worms. 2. Tuck your rear elbow on your backswing – This one started with someone watching Hogan swing. Even he had some space under his right arm in the backswing. Tell Fred Couples, Jack Nicklaus, Angel Cabrera or our recent PGA Tour winner, Carl Pettersen to tuck their right elbow and you will ruin their career. Width in the swing is created with a wide right arm in the takeaway. Save the tucking for the downswing when the swing gets narrow. 3. Keep your left arm straight – Tension is the one of the most damaging things to a good golf swing and trying to lock your lead arm can cause this very quickly. Comfortably extended is better terminology. Keep it extended but soft. A little bend will not kill you. Once again, width is created by the right arm. If you are collapsing, try pushing out slightly with the rear arm and you will thank me later. Guru Nation Heed The Advice. Great, Thanks GURU now I’m off to the range to practice. Day one at the range when well meaning friend shows up. “hey man that backswing looks a lot different remember keep it low, slow and inside on the way back”. So he demonstrates a backswing that could brush a tee placed 5 feet behind the ball. Oh yes you are right my well meaning friend what WAS I thinking???? I have always heard that, I MUST be doing it wrong. Fast Forward 3 Months and 9,284 range balls……….GURU my Drive is still killing my game what is going on?…..I don’t know Alan lets take a look….. Slice, pull, slice, pull, push, hook….. Alan, I though we talked about working on the backswing last time you were here…..We did GURU watch me brush this tee 5 foot behind the ball…… Alan that is not what we talked about………………………Ahhhhh you are right GURU. Lets start over. This oversight (i.e. stupidity) on my part cost me 3 months and a lot of wasted effort on my road to improvement. This was on a Wednesday. On Thursday I worked very hard on the range with my notes from the GURU not listening to anyone or anything. On Friday, Saturday and Sunday I shot 4 of my best rounds ever with the Driver doing it’s fair part. Be very careful of friendly advice about the golf swing. Remember most people will never break 80. If you are fortunate enough to be able to get advice from an expert. USE IT…..
See you on the course!!! !